PBH-154 was discontinued. Please refer to CSC-H64 for alternative. 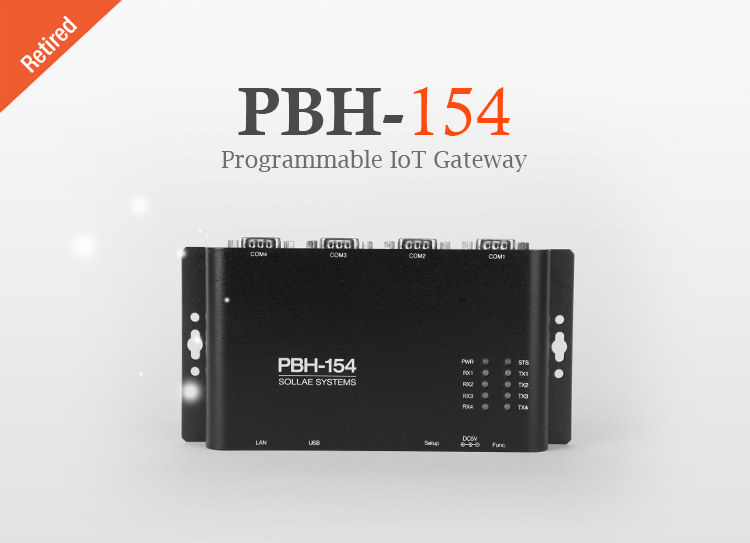 PBH-154 is a serial to Ethernet/WLAN converter that enables your serial devices to carry robust networking capabilities. This serial to Ethernet/WLAN converter offers 4 serial ports interfaced with RS232/RS422/RS485 and a frame delimiter for packet fragmentation. PBH-154 comes preloaded with Soft AP so it can simply be linked to any devices with WLAN by operating as an AP. It eases network construction with mobile devices such as smart phones, tablet PCs and laptops where an AP is unavailable. Ensuring reliable operation with industrial temperature range of -40℃~+85℃, along with an overvoltage, reverse voltage and overcurrent protection circuit, makes this Serial to Ethernet/WLAN converter suitable for harsh industrial environments. PBH-154 can be used in diverse applications such as Automatic Remote Meter Reading system, Central Remote Patient Monitoring System, etc. * The above information is subject to change and Sollae Systems is not responsible for any changes.